Accutane – also known as isotretinoin, resembles Vitamin A and it is a very potent medication. However it requires long treatment, for most patients lasting 6-12 months and sometimes longer. Patient needs to be signed up for I-pledge program by his physician and instructed on possible side effects. Most common side effects include transient worsening of acne, dry lips, dry eyes, dry fragile skin and increased sensitivity to light. Less common side effects include depression, muscle aches and headaches. Accutane is known to cause birth defects, so it requires sexual abstinence or effective birth control during the treatment and 3 months after treatment is completed. Periodic blood tests are required to monitor liver enzymes, blood count and serum lipids during the treatment. Females need monthly pregnancy tests. Dosing need to be adjusted monthly depends on clinical response and some patients may need repeated treatments. It is very important to follow up with prescribing physician after treatment is completed to establish prophylactic regimen. Acne is a chronic inflammatory condition of the skin and requires long and persistent treatment. It can present as whiteheads, blackheads, inflammatory pimples and scarring. Treatments depend on the severity of the condition. Healthy lifestyle including diet eliminating dairy and sweets is always helpful. 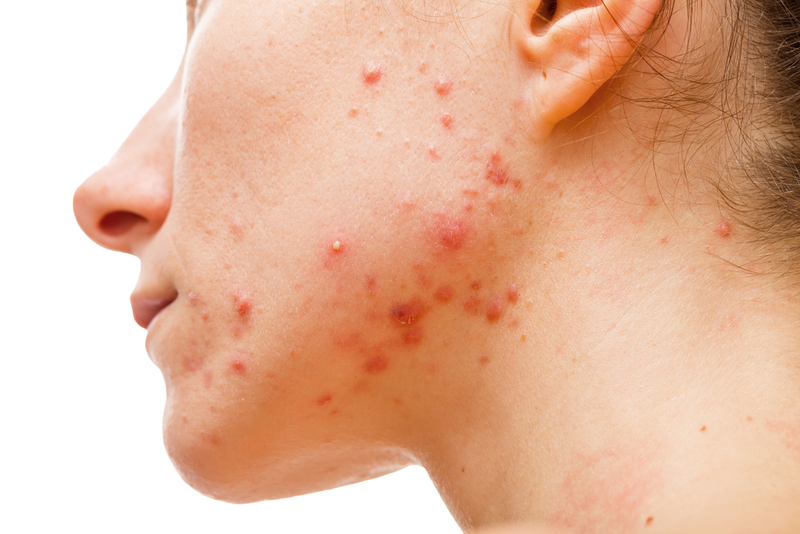 Severe Cystic Acne (large deep painful pimples) – is best treated with Accutane and Oral Contraceptives.